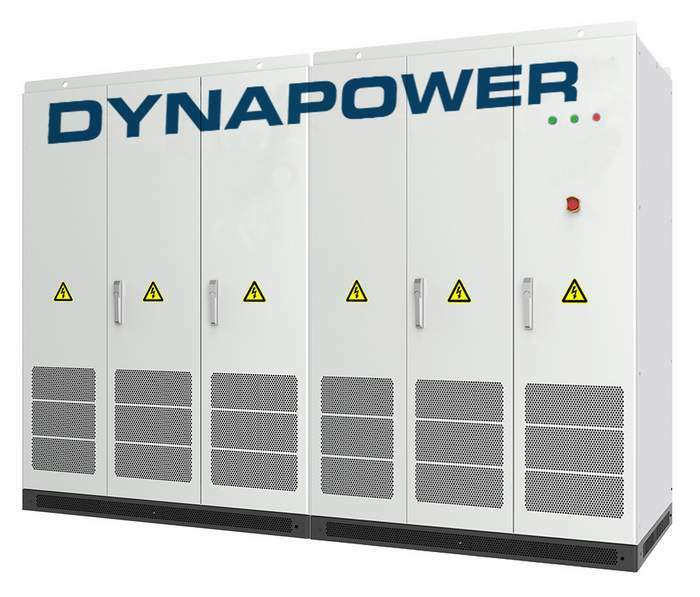 Dynapower just introduced its next generation utility-scale energy storage inverters. The air-cooled CPS-1500 and CPS-3000 are available in both indoor and outdoor configurations, and work with all battery chemistries. Each feature a high-efficiency, three-level topology designed for both grid-tied and microgrid applications. The Gen 4 CPS inverters also feature Dynapower’s proprietary Dynamic Transfer technology, which allows for the seamless transfer from grid-tied to microgrid mode, and industry-leading Black Start capabilities. Multiple CPS units can be paralleled together to meet the sizing and power needs of any energy storage installation. Dynapower’s CPS inverters are an integrated solution containing all required protective features, as well as an AC output breaker, and DC disconnect switch. This creates cost savings for end users and integrators when compared with other inverters that require additional add-on items needed for battery integration. CPS inverters can be supplied with MV transformers to easily integrate customer supplied battery systems into any network. BLACK START — In the event of a complete system power outage, Dynapower’s patented Black Start restores power to the facility without the need for external power. Dynapower’s Black Start technology can start distribution networks even with transformer magnetizing currents that exceed the power rating of the inverters. Multiple CPS units can be restarted at once. E COMP— A Volt Var function that provides immediate and automatic voltage support to the grid. F COMP— A Hz-Watt function that provides immediate and automatic frequency support to the grid. DYNAMIC TRANSFER — Dynapower’s proprietary patented Dynamic Transfer algorithm monitors grid stability and, upon detecting a grid disturbance, disconnects from the grid and transitions to stand-alone battery backup power mode on the load connection. The transition is seamless to the critical loads and supports 100% phase imbalance in UF mode.